If you were to visit almost any part of Australia these days, from the palm tree-lined streets of Port Douglas to the rolling green hills outside Hobart, you will find some of Australia's most original chefs hard at work founding a nascent regional dining culture. 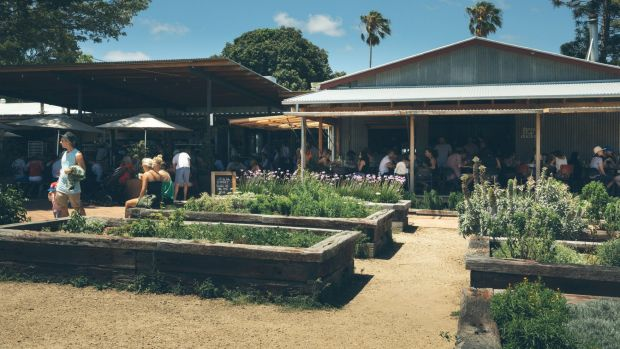 "Places such as Adelaide and Hobart are so hot right now," says Myffy Rigby, editor of the 2019 Good Food Guide, published by Fairfax Media. "Regional Victoria is going crazy, as is the area around Brunswick Heads in NSW." 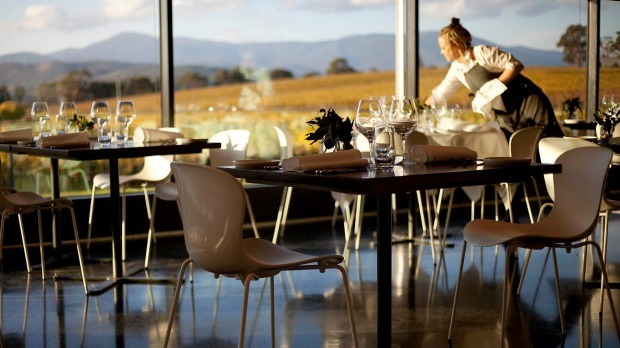 While a handful of regional restaurants have long pedigrees – Alla Wolf-Tasker, for example, opened her acclaimed Lake House in Victoria's Daylesford 30 years ago – there has been a remarkable restaurant boom beyond Sydney and Melbourne in recent times, linked to the growth of what's been dubbed destination dining. "People think nothing of getting on a plane these days to all corners of the country in order eat at a three-hat restaurant," says Rigby. "That was part of our reason for taking the Good Food Guide national two years ago. 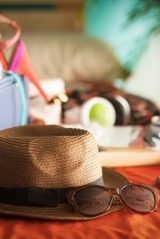 It was recognising the fact that people are travelling to eat." 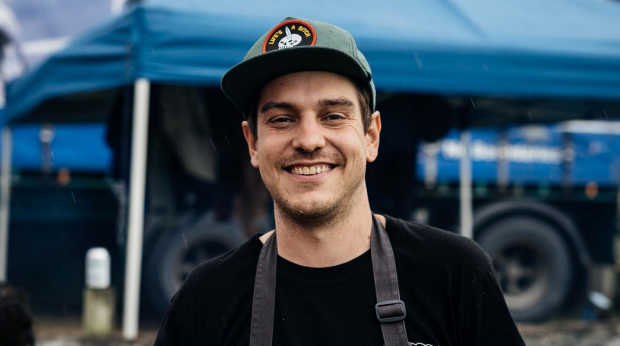 Regional chefs such as Matt Stone, of Oakridge Wines restaurant in Victoria's Yarra Valley are passionate about showcasing the produce from their backyard and are careful not to strive to be all things to all diners. "We don't serve seafood because we are nowhere near the ocean, but we do have wonderful trout that is raised locally," he says. The reliance on local flavours is seeing each region start to develop a distinctive culinary style, defined by ingredients as diverse as abalone in Tasmania and reef fish in Queensland. To celebrate the spread of a more distinctive style of Australian dining, and to mark the publication of the latest Good Food Guide, Traveller invites you to take a tour of some Australia's hottest dining destinations, led by the true experts: the chefs themselves. From Adelaide to Byron Bay and beyond, we have asked some of Australia's best chefs why their slice of Australia is worth the journey and what their cuisine says about the state of dining in their respective state. But be warned: their responses are likely to set your taste buds tingling. Garden vegetable and cheese curd tart at Oakridge. THE FOOD OF REGIONAL VICTORIA IS some of the best in the country. People are dedicated to showcasing their own area. It limits our cuisine but it makes us more creative. Look at Alla Wolf-Tasker, who has been at the Lake House for 30 years; look at how extreme Brae [at Birregurra in south-west VIctoria] is. And a lot of these places are within an hour or an hour-and-a-half of Melbourne, so you can do them as a day trip. YOU REALLY SHOULD TRY VICTORIAN PRODUCE BECAUSE the diversity is amazing. 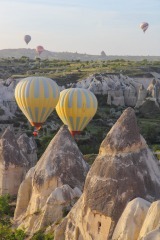 Where we are in the mountains we grow great stone fruit and berries. Head down on the coast, however, and you will find amazing seafood. Then you have dedicated producers such as Yarra Valley Caviar, who have found a way of extracting the eggs that doesn't kill the fish. Their farm is also super-sustainable, using gravity-fed dams. Matt Stone of Oakridge restaurant. THE ONE THING YOU MUST TRY IS Warialda Beef [at Clonbinane]. They raise Belted Galloway cattle completely on pasture. The depth of flavour is amazing. I like to serve it as a tartare with a garum sauce made from the beef trimmings that is fermented for 10 weeks. 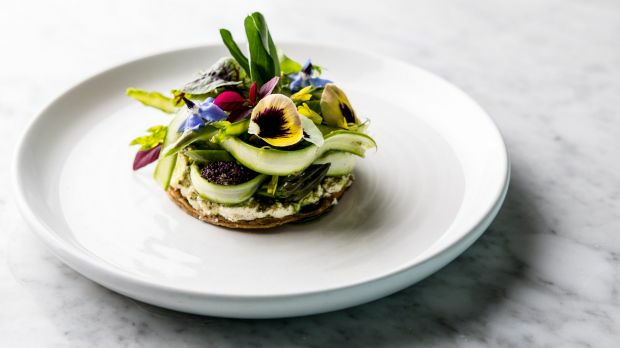 THE DISH THAT BEST REPRESENTS VICTORIAN CUISINE IS the avocado toast at Attica in Melbourne, which has become one of their staples. It is a Melbourne cafe classic turned into a fine-dining snack at one of the world's best restaurants, and it is just really fun. The area's many wineries are the big draw here, ranging from big names such as De Bortoli and Domaine Chandon to lesser-known outlets such as Maddens Rise. Other highlights include the TarraWarra Museum of Art; Dame Nellie Melba's historic home, Coombe; and, for those looking for some exercise, the Lilydale to Warburton Rail Trail, which can be done on foot or by bike. Set amid the vines, Chateau Yering Hotel is a grand Victorian country retreat. THE FOOD OF SOUTH AUSTRALIA IS very different now to when I moved here nearly 10 years ago. Adelaide is full of fantastic chefs working in restaurants, cafes and bars, and the regional scene is amazing. When Tasting Australia takes place every April, we have these amazing experiences where you can fly to Coffin Bay to visit the oyster beds and be back in the city in time for dinner. 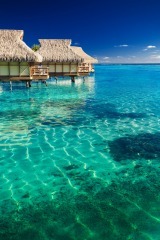 That's just not possible anywhere else in the country. YOU REALLY SHOULD TRY SOUTH AUSTRALIAN PRODUCE BECAUSE the proximity between grower and producer and Adelaide's restaurants is one of the shortest in the country, whether we are talking meat, crops from the Riverland or seafood from the Great Australian Bight and the Spencer Gulf. 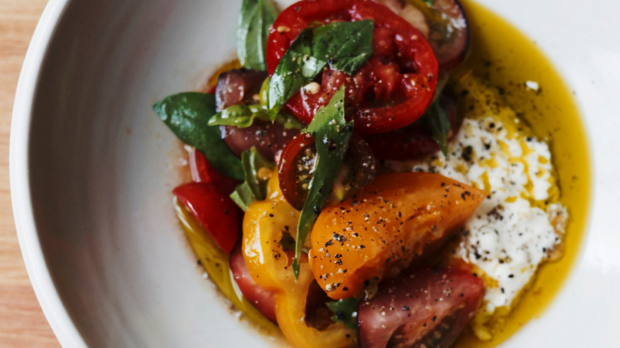 The chefs mostly have a close relationship with producers and growers which leads to super-interesting ingredients and creative dishes on menus. THE ONE FOOD YOU MUST TRY IN SOUTH AUSTRALIA IS Woodside Cheese Wrights' cheese and San Jose Smallgoods' flat pancetta. Before I arrived in Adelaide I knew just those two products from South Australia. Jose hand-selects the pigs he uses, and it shows in the quality of the product. THE DISH THAT BEST REPRESENTS SOUTH AUSTRALIA CUISINE IS fire-pit squid salad with house-fermented chilli, pomelo and cassava, which we serve at Bistro Blackwood. All the ingredients are South Australian, including the Port Lincoln squid, and it is very Australian in that it draws on the many cultures we share in this country. 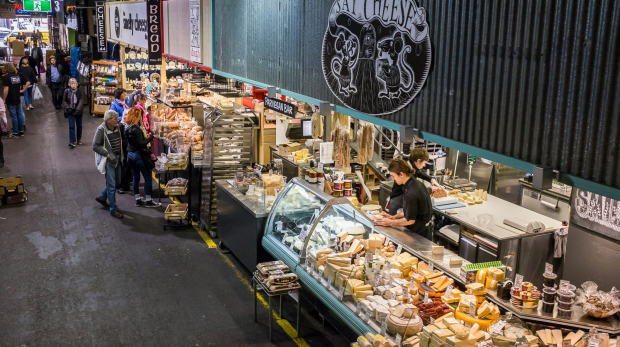 Adelaide's most delicious attraction is its magnificent Central Market. Once you have treated your taste buds, admire the world's largest collection of Indigenous Australian artefacts at the South Australian Museum and graze your way through the cafes and bars tucked into the CBD's laneways. 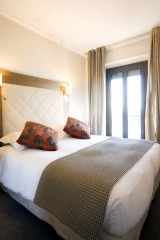 The Mayfair Hotel offers sophisticated style and a central location. Elsewhere, make time to explore some of the nearby wine regions, including McLaren Vale, Clare Valley and the Barossa Valley. 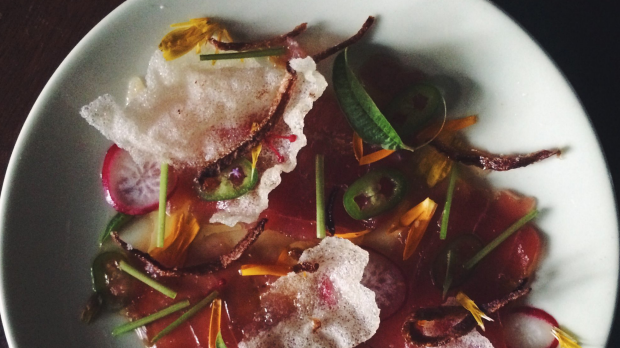 THE FOOD OF WESTERN AUSTRALIA IS the best it has ever been. We are doing things that are just as exciting as anywhere in the nation. We are isolated, but our isolation encourages creativity. Especially in regional areas, people are becoming more receptive to different ingredients they may not know. What we are really good at is great technique in a relaxed format. YOU REALLY SHOULD TRY WESTERN AUSTRALIAN PRODUCE BECAUSE the diversity of climates and microclimates gives us a wide variety of foods. Seafood is a big drawcard, but we also have the Southern Forests region with its black truffles, the cool climate wines of the Great Southern region, and the Gascoyne region with its tropical produce. I am currently serving beautiful rock oysters from Albany and Linley Valley Pork – I press the pork belly and fry the off-cuts of skin, which I throw together with noodles, watercress and crab or yabbies. THE ONE FOOD YOU MUST TRY IN WESTERN AUSTRALIA IS marron. It's pretty special. This freshwater crayfish is native to this region, and it is best when not messed with too much. I cook it on a charcoal grill, brushed lightly with butter and salt. THE DISH THAT BEST REPRESENTS WESTERN AUSTRALIA CUISINE is a seafood barbecue. My favourite restaurants have a similar feel. Kenny McHardie at Manuka Woodfired Kitchen in Fremantle does fabulous shared plates. He puts whole fish through the wood-fired oven, which is just amazing. 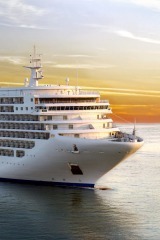 Albany is a five-hour drive from Perth or Rex Airlines offers daily flights from Perth. Beyond Albany's colonial architecture, the area's key attractions include the National ANZAC Centre, award-winning wineries such as Plantagenet Wines and Singlefile Wines, and welcoming beaches such as Middleton Beach and Little Beach. May to October is whale watching season. The Beach House at Bayside is an award-winning B&B set on Middleton Bay. Rodney Dunn from The Agrarian Kitchen Eatery. THE FOOD OF TASMANIA IS about the local area. When you go to the local grocer, the people who shop there are all getting excited about the strawberries from Grantham and the pink eye potatoes from South Arm [Peninsula]. That attitude translates into the restaurants, too. YOU REALLY SHOULD TRY TASMANIAN PRODUCE BECAUSE the long slow ripening period [of Tasmania's cool climate] makes a big difference to the flavour. When produce gets lots of heat and ripens quickly, as happens elsewhere in Australia, it doesn't get the same intensity. Our produce just tastes different. THE ONE FOOD YOU MUST TRY IN TASMANIA IS Tasmanian avocados. I have become a little obsessed with them. The ones that grow in the warmer parts of the country have to be picked at a certain point or the oils go rancid. In Tasmania, they are left on the tree for 18 months, so the flavours are really rich. THE DISH THAT BEST REPRESENTS TASMANIAN CUISINE IS the seafood, and one of my favourites is sea urchin. Not only is urchin the epitome of sea flavour; you can also feel good about eating it, as the urchins are a pest that eats the kelp forests which provide a natural habitat for our native fish. We had a dish recently that teamed whole sea urchin with a potato pancake, parsley and kefir cream. I liked the idea of teaming two of Tasmania's top product, potatoes and seafood. Australia's most exciting museum is the Museum of Old and New Art in Hobart. Other highlights include a stroll through the galleries and shops of Salamanca Place – the Saturday morning market is a great place to sample local flavours – and a day trip to explore Bruny Island's pristine landscapes. The Macq01 hotel on the waterfront has named each room after a colourful figure from Tasmania's history; take the hotel tour to learn more. THE FOOD OF NORTHERN NSW IS all about stunning ingredients showcased by some pretty passionate folk who have a true connection to the land and ocean. The food scene is pretty exciting at the moment, with lots of new cafes and restaurants opening in and around Byron. There is lots of cooking on coals and plenty of influence from overseas, be it Argentina, Mexico, Italy or Japan. YOU REALLY SHOULD TRY NORTHERN NSW PRODUCE BECAUSE things just taste how they should, often with minimal intervention. Something as simple as a rocket leaf, grown properly, will blow your mind. The farmers markets are the best place to get a sense of what's happening food-wise. My personal favourites are the markets at New Brighton and Mullumbimby. THE ONE FOOD YOU MUST TRY IN NSW IS finger limes when they're in season. I love them. The finger-shaped citrus fruits come in all sorts of different colours and varieties. They contain a caviar-like citrus pearl that bursts in the mouth. Three Blue Ducks' Darren Robertson. THE DISH THAT BEST REPRESENTS NORTHERN NSW CUISINE IS pig cooked on a spit that we do at The Farm, done with a shedload of local garlic, ginger, chilli and citrus. We use ethically raised Berkshire pigs, cooked on a spit for about five hours with salt. We serve them on weekends in Byron, usually with a salad using ingredients from the farm, picked that weekend – typically radishes, shallots, mint and loads of citrus. The beautiful beaches such as Wategos and Lighthouse Beach, the bush trails and waterfalls of the area's verdant rainforest are all well worth exploring. Wollumbin National Park and Border Ranges National Park, with its ancient Antarctic beech groves, are standouts. Also worth a visit: welcoming country towns such as Ballina, and the always-interesting Tweed Gallery. 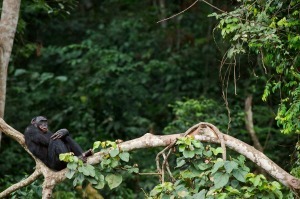 The Byron at Byron is a luxury retreat where the suites are nestled into verdant rainforest. THE FOOD OF FAR NORTH QUEENSLAND IS a lot more relaxed. Everything happens at a slower pace up here, and the climate means the food has to be a lot lighter. When I first came up here I did a lot of braises and buttery creamy sauces, but that has changed. YOU REALLY SHOULD TRY QUEENSLAND PRODUCE BECAUSE there is so much variety, from the Atherton Tablelands to the reef. This time of year there are bush lemons and pomelos, mud crabs and yabbies in the mangroves, and beautiful fish and squid from the reef. I go shopping at Mossman Market, which is full of small farmers who have all sorts of crazy fruits. THE ONE QUEENSLAND FOOD YOU MUST TRY IS goats cheese. People think it's all mangoes and prawns up here, but the Atherton Tablelands is prime dairy country. There are some great goat farmers making lovely chevre, which I team with local cucumbers, apples and nashi pears. THE DISH THAT BEST REPRESENTS FAR NORTH QUEENSLAND CUISINE IS our cobia, a beautiful firm fish that is very versatile. I use it to make a tropical version of a classic gravadlax. I marinate it with a vinaigrette of bush lemon zest and team it with bush lemon curd, soured cream, pickled radish and rye crumbs. Port Douglas, an hour north of Cairns. 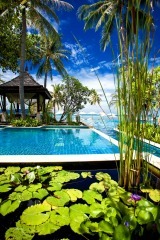 It makes a great base for exploring the reef and the rainforest. Go snorkelling on the Great Barrier Reef, walk through Mossman Gorge and cool off in a waterhole, take a croc-spotting cruise and learn more about indigenous culture on the Flames of the Forest cultural experience. 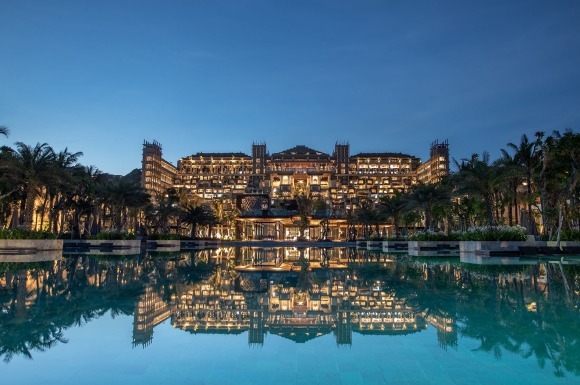 The Sheraton Grand Mirage Resort Port Douglas, where Harrisons is located, has the town's most glamorous pool, and also offers direct beach access. 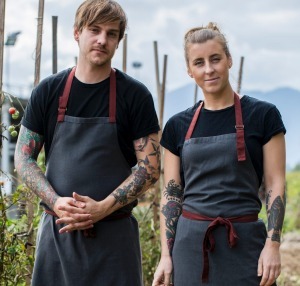 Matt Stone and his partner, pastry chef Jo Barrett, share the role of head chef at the one-hatted Oakridge Winery restaurants in Victoria's Yarra Valley. Stone is a passionate proponent of sustainable cuisine and works closely with local producers. 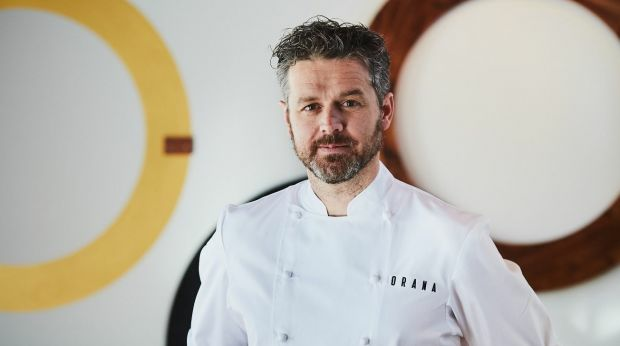 Zonfrillo stands at the helm of two Adelaide eateries: Bistro Blackwood and Restaurant Orana (which receive one and three hats respectively in the Good Food Guide 2019), which has attracted international attention for its innovative use of Indigenous ingredients. 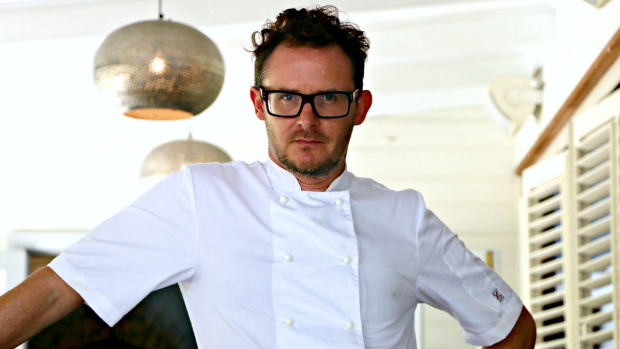 Zonfrillo has Scottish and Italian roots, and worked with Marco-Pierre White before moving to Australia. 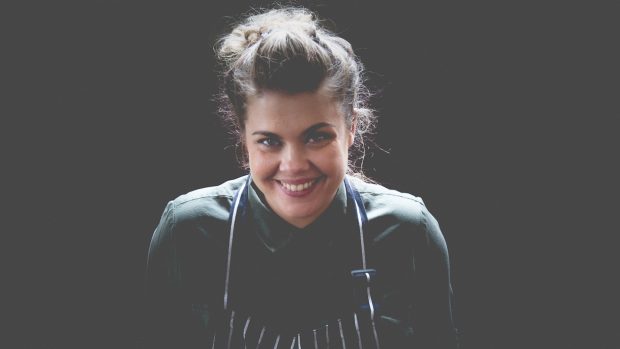 Proving that fine food is not limited to restaurants, Amy Hamilton dishes up an eclectic menu with French and Vietnamese influences at Liberte, her one-hatted wine bar in Albany in the south-west of Western Australia. 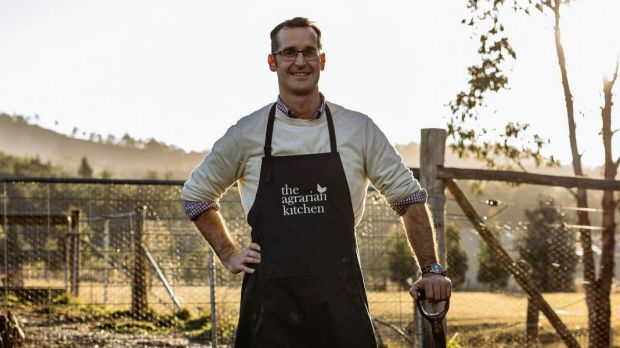 A trained chef and former food editor of Gourmet Traveller, Dunn runs the two-hatted The Eatery at the Agrarian Kitchen, just outside Hobart, with his wife, Severine Demanet​. The Agrarian complex includes a cooking school as well as the Eatery, located in a former asylum. 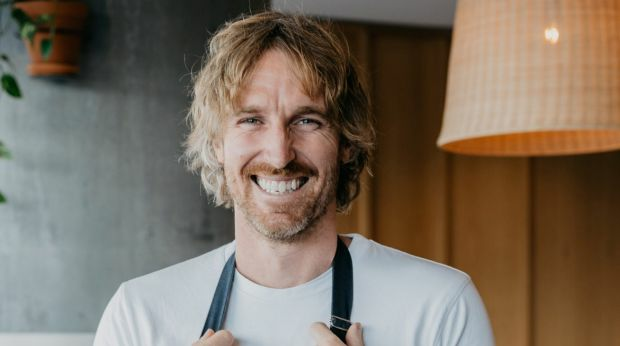 One of the co-owners of the much-loved Three Blue Ducks empire (which includes outlets in Sydney and Brisbane along with the Byron Bay restaurant), Robertson focuses on local, seasonal flavours in his cuisine. 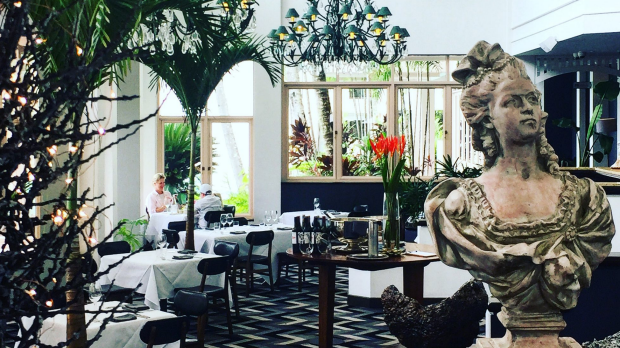 Having trained with renowned chefs including Raymond Blanc and Marco-Pierre White, Spencer Patrick teams French-inspired techniques with tropical ingredients at his Port Douglas restaurant, Harrisons. DARWIN DINING IS all about Asian flavours. A lot of Darwinites hop over to Bali frequently, so they love their rendangs and nasi lemaks. We also have a lot of migrants who grow Asian ingredients; you can buy direct from the grower at places such as Rapid Creek Markets, which means you are getting really cheap produce. You will find stall holders selling six types of chilli, which you would battle to find in my hometown of Melbourne. I LOVE TO EAT AT Roast & Noodles, as I do love my spices, for its awesome roast duck and roast pork. Sumatra Cafe does very good Indonesian. CANBERRA'S FOOD SCENE IS changing. Alongside well-known places such as Aubergine, Monster, Ottoman and the Chairman And Yip, you have a new generation of Canberra locals forging their own path. Cafes such as Barrio Collective and restaurants like XO are not just replicating what you find in Sydney and Melbourne; they are forging their own way. THE THING THAT SETS CANBERRA APART IS it's the bush capital and we are so close to the growing areas that we are genuinely seasonal. I source 80 per cent of my vegetables from two growers, both of whom are within an hour of the centre of the CBD. Things that are picked at 10am are in my kitchen by 12pm – you can taste the freshness. THE BEST LOCAL PRODUCE IS seasonal. We have so many forests and pine plantations that in autumn, it is great to go foraging for mushrooms; I can happily spend four or five hours in the forest collecting mushrooms. In spring, there are blossoms everywhere; in summer, the cherries come in and I make an ice-cream from toasted cherry pits that tastes like marzipan. See barrochford.com.